Paolo Angelo Nespoli (born 6 April 1957) is an Italian astronaut and engineer of the European Space Agency (ESA). In 2007, he first traveled into space aboard the Space Shuttle Discovery as a mission specialist of STS-120. In December 2010 he again traveled into space aboard the Soyuz TMA-20 spacecraft as an Expedition 26/27 flight engineer. Nespoli's third spaceflight was onboard Soyuz MS-05 which launched in July 2017 for Expedition 52/53. He was also the European Space Agency's oldest active astronaut prior to his retirement in 2019. Verano Brianza is a comune (municipality) in the Province of Monza and Brianza in the Italian region Lombardy, located about 25 kilometres (16 mi) north of Milan. As of 31 December 2004, it had a population of 8,968 and an area of 3.5 square kilometres (1.4 sq mi). He received his bachelor's degree in Aerospace engineering in 1988 and his master's degree in 1989 in Aeronautics and Astronautics from Polytechnic University in New York. He is a professional engineer, a private pilot, an advanced scuba diver and a nitrox diver. Due to his military background, he is also a master parachutist, parachute instructor, jump master, high altitude low opening and Special Forces operator in the 9th Paratroopers Assault Regiment. He joined the Italian Army in 1977. Nitrox refers to any gas mixture composed of nitrogen and oxygen. This includes atmospheric air, which is approximately 78% nitrogen, 21% oxygen, and 1% other gases, primarily argon. In the usual application, underwater diving, nitrox is normally distinguished from air and handled differently. The most common use of nitrox mixtures containing oxygen in higher proportions than atmospheric air is in scuba diving, where the reduced partial pressure of nitrogen is advantageous in reducing nitrogen uptake in the body's tissues, thereby extending the practicable underwater dive time by reducing the decompression requirement, or reducing the risk of decompression sickness. The 9º Reggimento d'Assalto Paracadutisti Col Moschin("Moschin Hill") is a Special Forces unit of the current Italian Army — in part due to its distinguished history, but also due to the arduous training which members must undertake. Training takes no less than two years for long-term members, and five months for short-term volunteers. In July 1998, he was selected as an astronaut for Italian Space Agency (ASI) and in August 1998, Nespoli was assigned by the European Space Agency to train at NASA's Johnson Space Center in Houston, Texas. The Italian Space Agency is a government agency established in 1988 to fund, regulate and coordinate space exploration activities in Italy. The agency cooperates with numerous national and international entities who are active in aerospace research and technology. STS-120 mission specialist Paolo Nespoli in the International Space Station. Expedition 26/27 flight engineer Paolo Nespoli poses with Robonaut 2. On 15 December 2010 Nespoli flew aboard the Soyuz TMA-20 spacecraft from Baikonur Cosmodrome in Kazakhstan to the International Space Station with the Russian cosmonaut Dmitri Kondratyev and NASA's astronaut Catherine Coleman. The three members of the crew returned to Earth in 24 May 2011. This mission, dubbed ‘MagISStra’, is Paolo Nespoli's second flight in space. From 15 December 2010 to 24 May 2011, Paolo Nespoli's duties  aboard the ISS included participating in the docking operations to receive Europe's second Automated Transfer Vehicle (ATV-2) "Johannes Kepler", a visiting spacecraft that will deliver essential cargo to the Station. In early January, Nespoli filmed the majority of the footage for the documentary film First Orbit , and as a result is credited as its director of photography. Nespoli took part in the arrival of the second Japanese HII Transfer Vehicle (HTV-2), an unmanned spacecraft used to resupply the ISS. 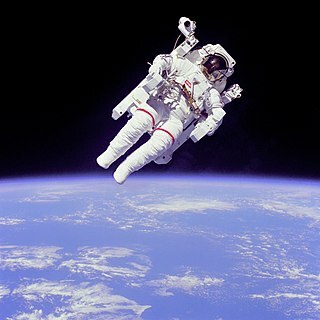 He was the prime operator for berthing the HTV-2 to the ISS after the free-flying vehicle was captured by NASA astronaut Catherine Coleman. In May 2011, Space Shuttle Endeavour has delivered the Alpha Magnetic Spectrometer (AMS-02) to the ISS. Paolo Nespoli carried out an intensive programme of experiments in the Station, ranging from radiation monitoring to measurements that could improve oil recovery in petroleum reservoirs. The mission scientific programme covered different fields on human research, fluid physics, radiation, biology and technology demonstrations. Nespoli contributed to the scientific exploitation of Europe's Columbus laboratory. As an astronaut, he carried out several experiments for ESA, NASA and also the Japanese and Canadian space agencies. During the mission, Paolo participated in some educational activities: the educational programme "Mission X: Train Like an Astronaut" which gave children the chance to follow an international initiative built around health, well-being and nutrition. He also participated in a greenhouse activity in space. Nespoli used ESA's novel 3D camera to show images of the ISS. During the VITA Mission Nespoli completed more than 60 experiments. He also recorded the first content created in space specifically for use on Wikipedia. During his first month in orbit Nespoli acted as cinematographer for National Geographic Channel's One Strange Rock, filming the sequences with astronaut Peggy Whitson which appear in episode 10 of the series  . Yury Valentinovich Lonchakov is a Russian former cosmonaut and a veteran of three space missions. He has spent 200 days in space and has conducted two career spacewalks. Roberto Vittori is an Italian air force officer and an ESA astronaut. After graduating from the Italian Accademia Aeronautica in 1989, Vittori flew in the Italian Air Force. He then trained as a test pilot in the United States. Fyodor Nikolayevich Yurchikhin, is a Russian cosmonaut of Greek descent, engineer and RSC Energia test-pilot who has flown on five spaceflights. His first spaceflight was a 10-day Space Shuttle mission STS-112. His second was a long-duration stay aboard the International Space Station (ISS) as a Flight Engineer for Expedition 15; for this mission he was launched in the Soyuz TMA-10 spacecraft. He has undertaken two further long-duration stays aboard the ISS, as a crew member of Expedition 24 / 25. For this mission he was launched with the spacecraft Soyuz TMA-19, and he landed in November 2010, also with the TMA-19 spacecraft. He served as Soyuz Commander for his fourth mission aboard Soyuz TMA-09M, as Flight Engineer for Expedition 36 and ISS Commander for Expedition 37. In April 2017, Yurchikhin launched on Soyuz MS-04 for the fifth spaceflight of his career, a six-month mission to the ISS as part of Expedition 51 and 52, for which he was the Commander. Expedition 10 (2004–2005) was the tenth expedition to the International Space Station, using the Soyuz TMA-5, which stayed during the expedition for emergency evacuation. Expedition 13 was the 13th expedition to the International Space Station (ISS), and launched at 02:30 UTC on 30 March 2006. The expedition used the Soyuz TMA-8 spacecraft, which stayed at the station for the duration of the expedition for emergency evacuation. A mission patch is a cloth reproduction of a spaceflight mission emblem worn by astronauts and other personnel affiliated with that mission. It is usually executed as an embroidered patch. The term space patch is mostly applied to an emblem designed for a manned space mission. Traditionally, the patch is worn on the space suit that astronauts and cosmonauts wear when launched into space. Mission patches have been adopted by the crew and personnel of many other space ventures, public and private. Soyuz TMA-20 was a human spaceflight to the International Space Station (ISS) and was part of the Soyuz programme. It lifted off from the Baikonur Cosmodrome in Kazakhstan on December 15, 2010, and docked with the ISS two days later. The three-person crew of Soyuz TMA-20 – Dmitri Kondratyev, Catherine Coleman and Paolo Nespoli – represented the ISS partner organizations of Roscosmos, NASA and the European Space Agency (ESA). Soyuz TMA-20's crew represented half of the members of Expedition 27; the other three members of the expedition arrived at the station on board Soyuz TMA-21 on April 6, 2011. The COSPAR ID of Soyuz TMA-20 was 2010-067A. It is ISS flight 25S. Expedition 25 was the 25th long-duration mission to the International Space Station (ISS). Expedition 25 began with the Soyuz TMA-18 undocking on 25 September 2010. Three new crewmembers arrived aboard the ISS 10 October 2010 on Soyuz TMA-01M to join Douglas Wheelock, Fyodor Yurchikhin and Shannon Walker, and formed the full six member crew of Expedition 25. NASA astronaut Doug Wheelock accepted command of Expedition 25 on 22 September 2010, taking over from Russia's Aleksandr Skvortsov. The departure of Wheelock, Walker and Yurchikhin on 25 November 2010 marked the official end of Expedition 25. Soyuz TMA-21 ("Gagarin") was a Soyuz flight to the International Space Station (ISS). It transported three members of the Expedition 27 crew to the ISS, and docked at the station on April 6, 2011. TMA-21 is the 109th flight of a Soyuz spacecraft, the first of which launched in 1967. The Soyuz remained attached to the space station as a lifeboat, throughout the remainder of Expedition 27 and through the end of Expedition 28, and returned to Earth on September 16, 2011. Expedition 28 was the 28th long-duration expedition to the International Space Station, and began on 23 May 2011 with the departure of the members of Expedition 27. The first three members of Expedition 28 arrived on the ISS aboard the Soyuz TMA-21 spacecraft on 4 April 2011, and were joined on 9 June 2011 by the three other crew members, who arrived aboard Soyuz TMA-02M. The expedition saw a number of significant events, including the final Space Shuttle mission, STS-135, which took place in July 2011. Expedition 28 was superseded by Expedition 29 on 16 September 2011. Expedition 29 was the 29th long-duration expedition to the International Space Station (ISS). The expedition formally began on 16 September 2011, with the departure from the ISS of the Soyuz TMA-21 spacecraft. Astronauts Satoshi Furukawa, Michael Fossum and Sergey Volkov, who had arrived at the ISS aboard Soyuz TMA-02M in June 2011, began their Expedition 29 service at this time. The Russian Soyuz TMA-03M was a spaceflight to the International Space Station (ISS). It launched on 21 December 2011 from Site One at the Baikonur Cosmodrome, Kazakhstan, carrying three members of Expedition 30 to the ISS. TMA-03M was the 112th flight of a Russian Soyuz spacecraft, since the first in 1967, and the third flight of the modernised Soyuz-TMA-M version. The docking with the International Space Station took place at 19:19 Moscow Time on 23 December, three minutes ahead of schedule. Soyuz TMA-16M was a 2015 flight to the International Space Station. It transported three members of the Expedition 43 crew to the Station. TMA-16M was the 125th flight of a Soyuz spacecraft, the first having launched in 1967. 1 2 Mabbett, Andy. "Close encounters of the Wikipedia kind: Astronaut is first to specifically contribute to Wikipedia from space – Wikimedia Blog". blog.wikimedia.org. Retrieved 2017-11-30. ↑ NASA (December 2010). "Biographical Data Paolo Angelo Nespoli" . Retrieved 1 May 2011. ↑ "European Space Agency biography". European Space Agency. 8 April 2011. Retrieved 1 May 2011. ↑ "About the MagISStra mission". European Space Agency. 14 December 2010. Retrieved 13 March 2011. ↑ "MagISStra Mission official website". European Space Agency. Retrieved 1 May 2011. ↑ "Paolo Nespoli mourns his mother". European Space Agency. 4 May 2011. Retrieved 5 May 2011. ↑ "The International Space Station and the Docked Space Shuttle Endeavour". International Space Station. NASA. Retrieved 9 June 2011. ↑ Richardson, Derek (28 July 2017). "ISS crew size increases to 6 with Soyuz MS-05 docking". Spaceflight Insider. Retrieved 29 July 2017. ↑ "VITA mission Paolo Nespoli". ESA. July 11, 2017. ↑ "VITA mission Logo". ESA. November 24, 2016. 1 2 Chris Bergin (December 14, 2017). "Soyuz MS-05 returns crew back to Earth". nasaspaceflight.com. ↑ "How two astronauts helped shoot Darren Aronofsky's new TV series from space". The Verge. Retrieved 26 March 2018.